In the summer of 2016, the world will turn its collective attention to the the Olympic (and Paralympic) Games, in Rio. Millions and millions of viewers will see the Rio 2016 emblem, which is a beautiful swath of color depicting 3 “people” entwined in a circle that evokes thoughts of Matisse’s classic, Dance. What we find very interesting is that few of those same viewers will separate the emblem itself from the true hero of Rio 2016, the font face created by Dalton Maag. The design of the Rio 2016 font depicts the essence of the Olympic and Paralympic emblems: Passion and Transformation. The boldness of this creation is not only in the design, but also in its importance for the design market in Brazil. Everyone [hopefully] understands and agrees that a font can have a huge impact on how brand message is conveyed – get it right and the brand sings, get it wrong and you risk losing your audience. 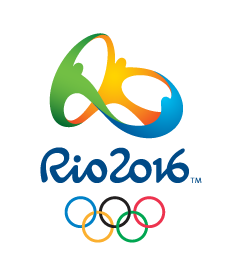 The Rio 2016 font absolutely hits the Rio brand out of the park with its flowing and strong gesturing, reminiscent of Brazilian dance. With all that movement though it teeters on the edge of loosing it’s cool, like going a little too fast down a hill on a skateboard and feeling the wheels wobble underneath you. But then it composes itself because it has a good weight at its base, and thanks to that sturdy base it keeps its balance. 2019 © Mint Design Company. All Rights Reserved.